For me, summertime in the Pacific NW is a time to celebrate the bounty of fruits and veggies. This is the time of year when beautiful fruit and veggies from local farms, farmers markets and our own gardens are abundant. Summertime is also the time of year that I like to experiment in the kitchen with all things tomatoes. It seems like the majority of people I know in Portland are also backyard tomato farmers. The Pacific NW is hotter than it used to be, which lends itself to sweet, heaven-like tomatoes of all varieties. My favorite variety is the run of the mill cherry tomato. They are exceptionally sweet, they ripen early and stay firm longer than other tomatoes. They have a lower level of acid compared to other varieties. They’re perfect. 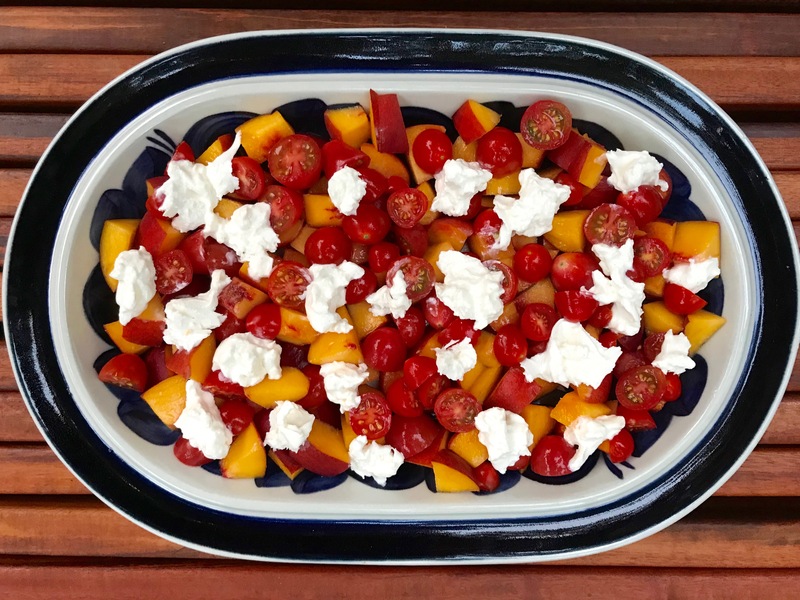 My new favorite salad showcases the beauty and flavor of summer tomatoes and peaches. It’s a simple salad and easy to make. 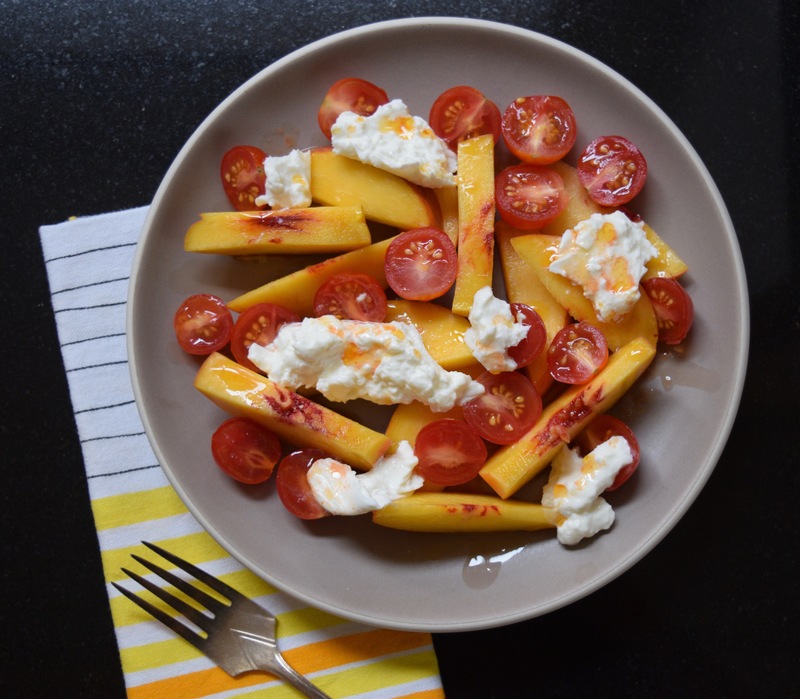 It pairs hot sauce vinaigrette with creamy fresh burrata, tomatoes and peaches. Some may think these flavor combos wouldn’t work. 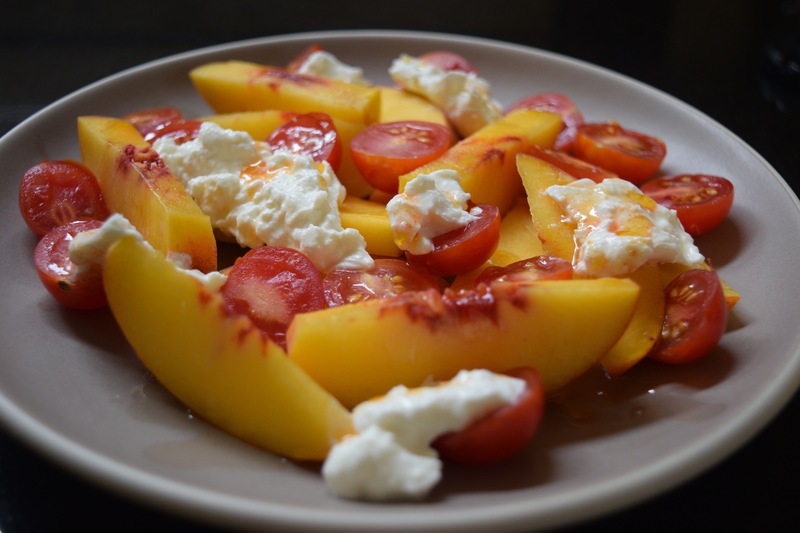 The acidity of the hot sauce and rice vinegar paired with sweet tomatoes and peaches are a treat. There’s a lot going on, but trust me, it works. Whisk olive oil, hot sauce, rice vinegar and honey in a small bowl until honey is dissolved. Season with kosher salt. 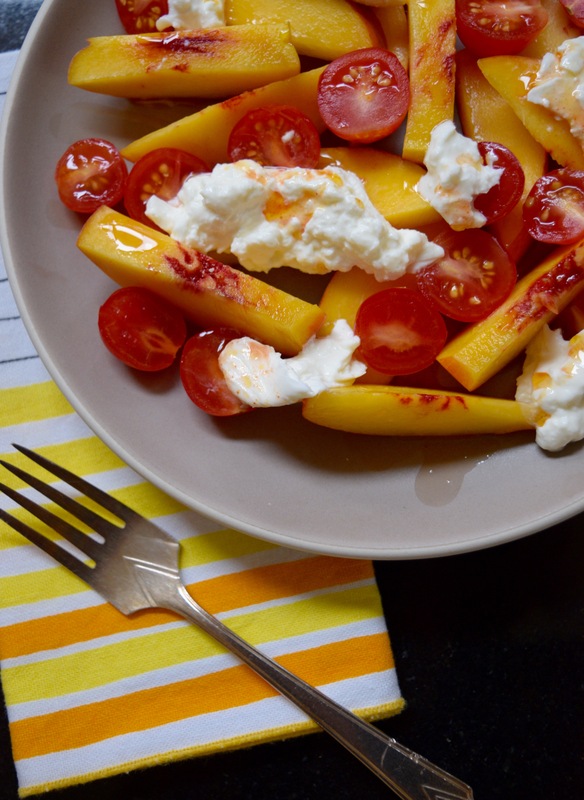 Toss cut peaches, cherry tomatoes and half the vinaigrette in a medium bowl. Let sit 5-10 minutes. Top with torn pieces of burrata and drizzle with remaining dressing. Season with sea salt.